The Board of Trustees welcomed 40 new members at the Fall Meeting and elected five to terms on the Board of Directors. The foundation now has 315 trustees serving as the university’s premier advocates, ambassadors and investors. 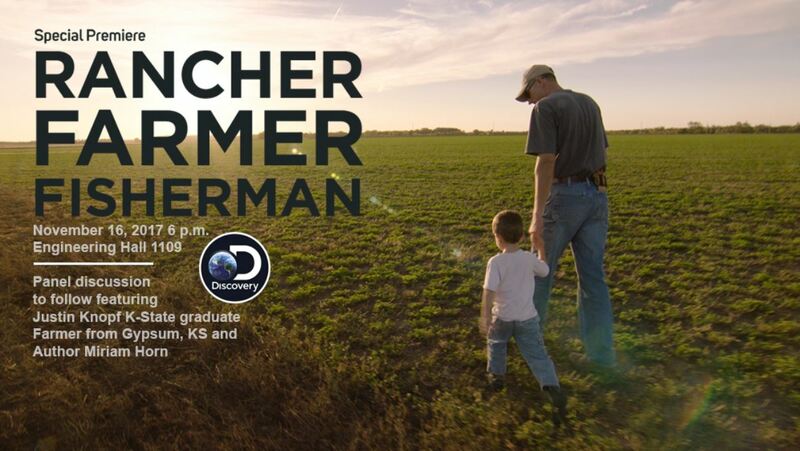 Join the Department of Agronomy November 16 at 6 p.m. in Engineering Hall 1109 to watch Rancher, Farmer, Fisherman. The film stars K-State Agronomy alumnus, Justin Knopf, who spoke at the fall meeting with Dr. Chuck Rice, university distinguished professor of agronomy and recipient of the Mary L. Vanier University Professorship. 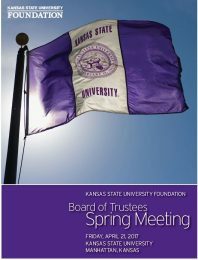 At the fall meeting this year, trustees received a KSU Foundation Trustee flag to display at their home or on the go. If you were unable to attend the fall meeting, Jennifer will be sending your flag in the coming weeks. 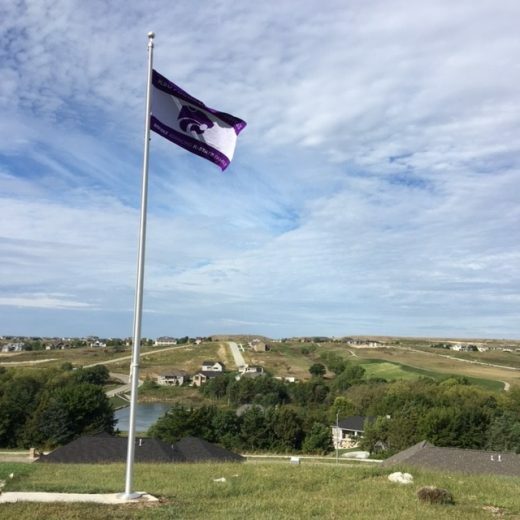 Every time you raise your flag, you assist with student recruitment efforts, show your commitment to legislative advocacy and raise K-State to the ranks of the elite. Together, we can involve more students, alumni and friends as we aspire to reach higher and be the best. Show your pride! 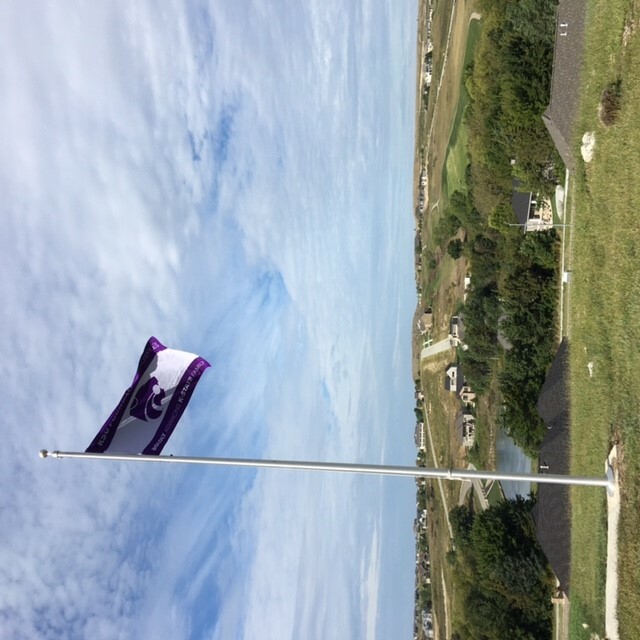 Take a photo with your flag flying and send it to Jennifer Fabrizius at jenniferf@ksufoundation.org. Thank you to trustees Al and Karen Walczak (flag pictured at top) and Jim and Debra Gordon (family and flag photo inset right) for sharing their flag photos! You are K-State’s best ambassadors! Carry the banner high! If you’re not following the KSU Foundation on Twitter, you’re missing out! President and CEO Greg Willems often serves as KSU Foundation’s own roving reporter, sending 140 character updates and photos from his visits with K-Staters and colleagues across the country. 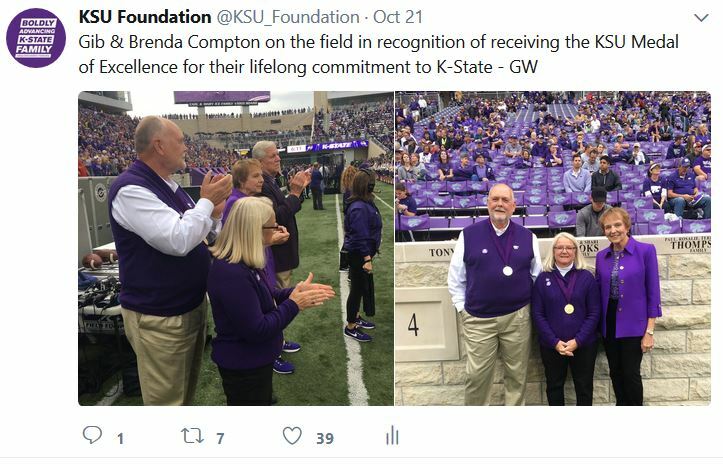 Above, you can see Greg’s tweet about 2017 K-State Medal of Excellence award winners Gib and Brenda Compton’s on-field recognition at the K-State v. Oklahoma game October 21. 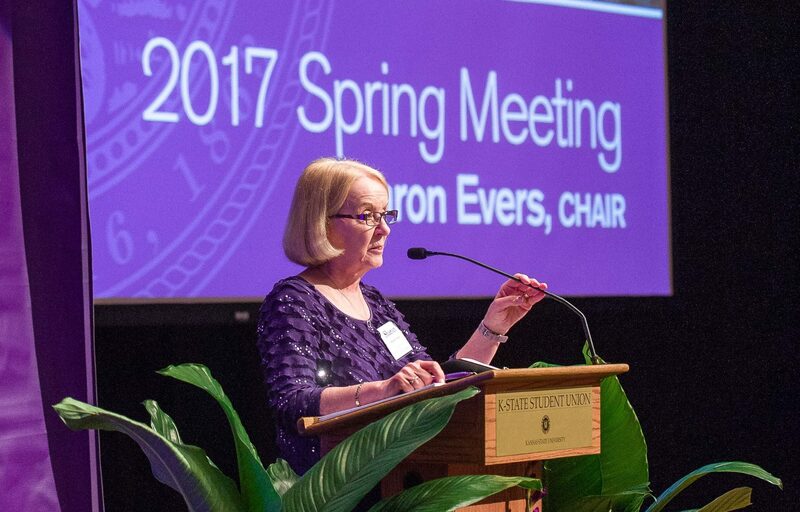 Get ready for our Board of Trustees Spring Meeting, scheduled for Friday, April 20, 2018, in Manhattan. We’re working hard to put together an extraordinary showcase that will enhance your experience as one of K-State’s premier advocates, ambassadors and investors. You’ll learn about the state of the university and the foundation, the challenges we face and the emerging opportunities where you can make a difference. Watch your mailbox and your inbox for more information. Questions? Contact Jennifer Fabrizius at jenniferf@ksufoundation.org or 785-532-7566. 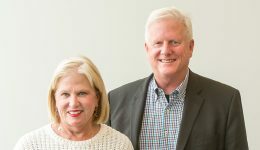 Join us Sept. 29 for the Fall Board of Trustees Meeting! We look forward to seeing you at the 2017 Board of Trustees Fall Meeting. 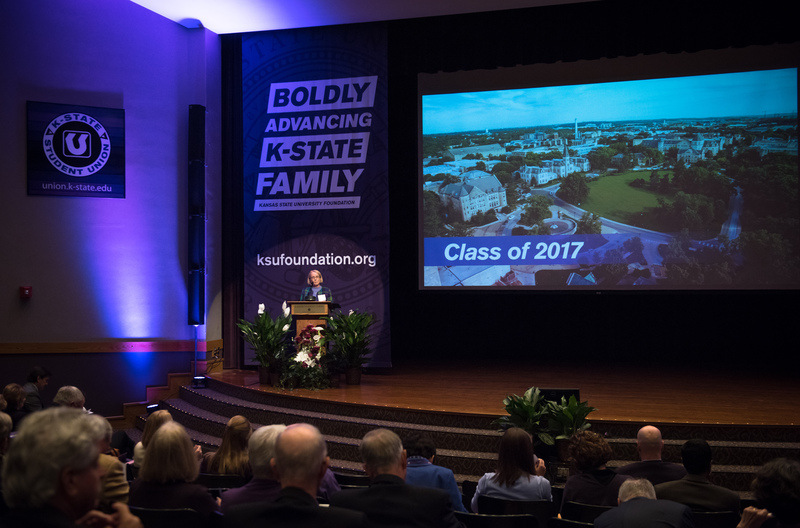 At each meeting, we strive to bring you — K-State’s premier advocates, ambassadors and investors — relevant and inspiring updates on the activities, accomplishments and aspirations of the KSU Foundation and Kansas State University. The day will culminate that evening with a trustee reception at The Gardens at Kansas State University. Your attendance makes a difference! We hope you will join your K-State family for a great meeting. 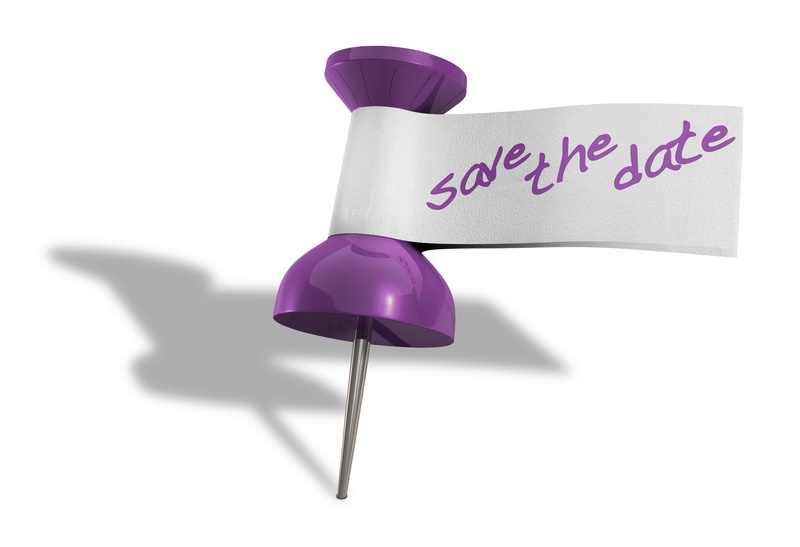 Watch your mailboxes in July for your invitation and the full schedule of events! 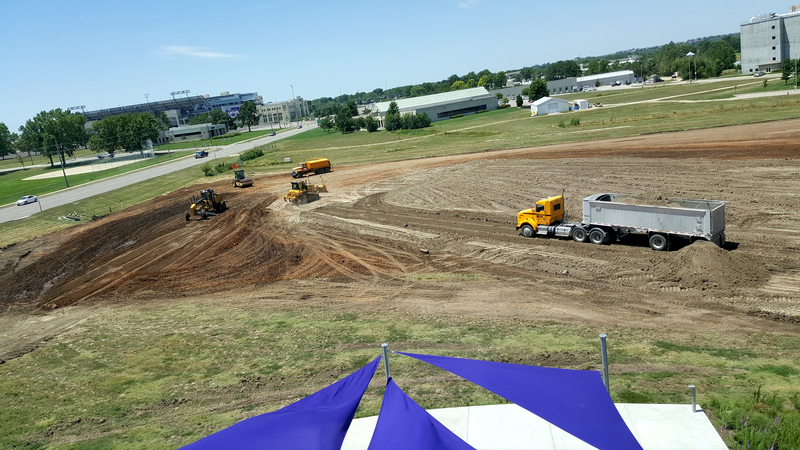 The Kansas State University Foundation has successfully secured funding derived from New Markets Tax Credits and an economic development agreement with the City of Manhattan for Phase II of the K-State Office Park. This phase of the office park expansion will cost $15.8 million and will add 59,000 square feet of partner-tenant space, doubling the existing development. Phase II will accommodate more than 30 flexible incubator spaces for companies and partners on Kansas State University’s Manhattan campus and create a home for up to 250 jobs when fully leased. Tenants are required to have an affiliation with the university that supports its mission. 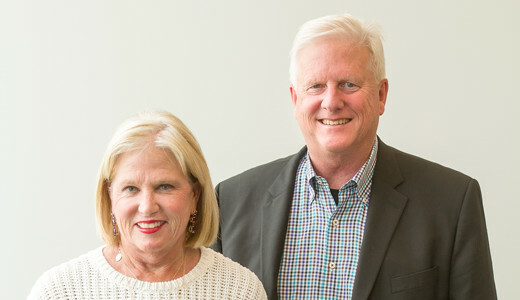 Bill and Debbie Leckron-Miller and Charlene and Rod Lake have made seed contributions to launch an honors program in K-State’s A.Q. Miller School of Journalism & Mass Communications in the fall of 2018. Read more. 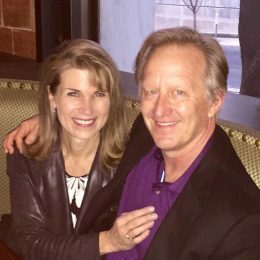 Steve and Annette Huff were featured in Inspired Living Omaha for their tiny house in Manhattan, where they stay when in town for games, events or meetings. See the article. Susie and Chuck Grier were featured in KSU Foundation’s newest social media feature,#VoicesofK-State. 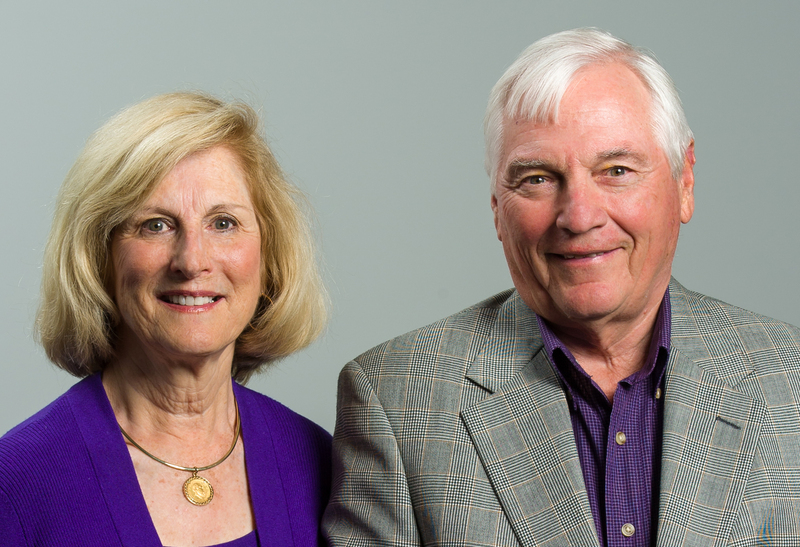 This collection of stories shares thoughts on philanthropy from the K-State family. 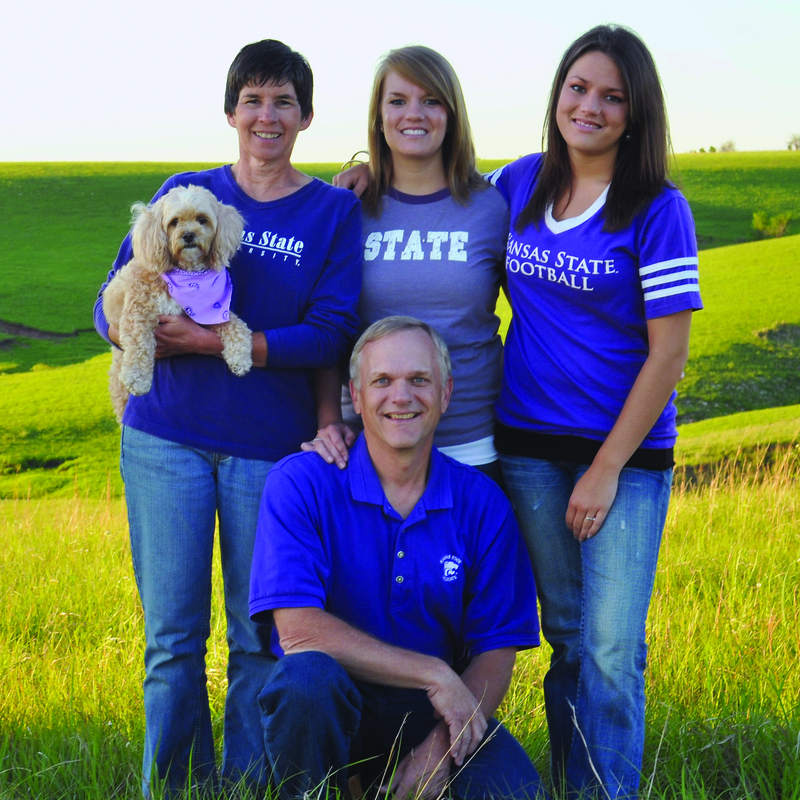 Check out the Griers’ feature and more at www.found.k-state.edu/voices. We’d love to hear from you! Contact Marisa Larson to share your story. If you’re not following the KSU Foundation on Twitter, you’re not only missing out on amazing stories of K-State generosity and philanthropic impact, you’re also missing out on tweets from our CEO Greg Willems! 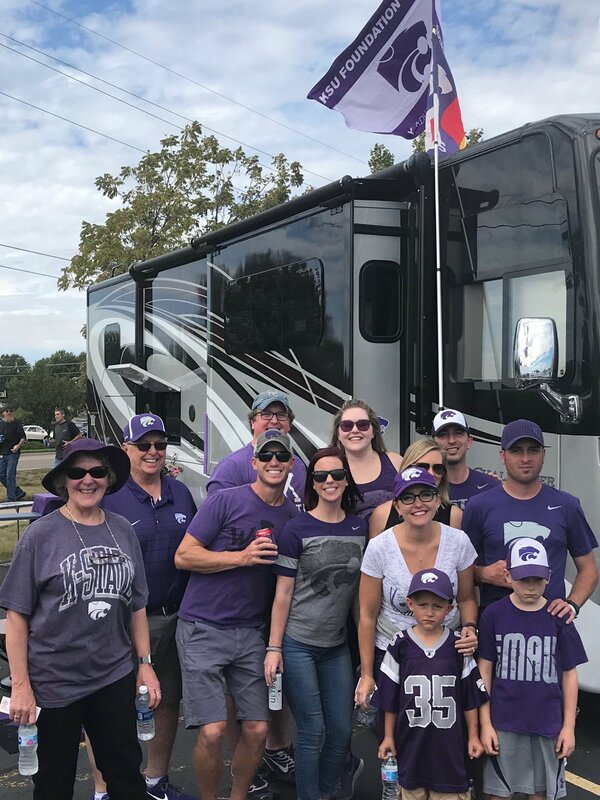 Greg often serves as KSU Foundation’s own roving reporter, sending 140 character updates and photos from his visits with the K-Staters and colleagues across the country. 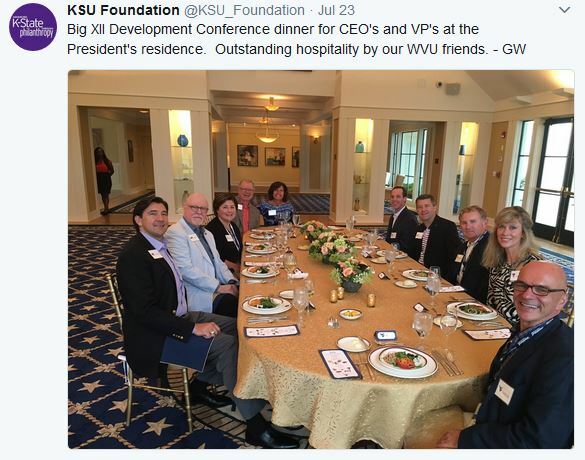 Above is a tweet Greg sent from the Big XII Development Conference in Morgantown, West Virginia, where he enjoyed dinner with other Big XII foundation CEOs and vice presidents. K-State Director of Athletics Gene Taylor shares updates on a busy summer for the Wildcats and items of note for the K-State family as the 2017-18 season approaches. Your spring 2017 Good for K-State Magazine is on the way. This issue focuses on how K-Staters go above and beyond to make K-State an extraordinary university, thanks to the generosity of our donors. We hope you enjoy this issue. 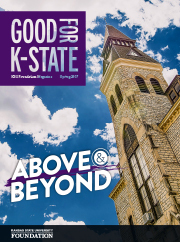 You can access the magazine online at www.found.ksu.edu/good and email your feedback to us at good@found.ksu.edu. Happy reading! 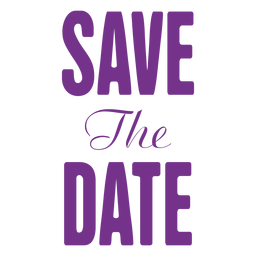 Get ready for our fall Board of Trustees meeting, scheduled for September 29, 2017, in Manhattan. 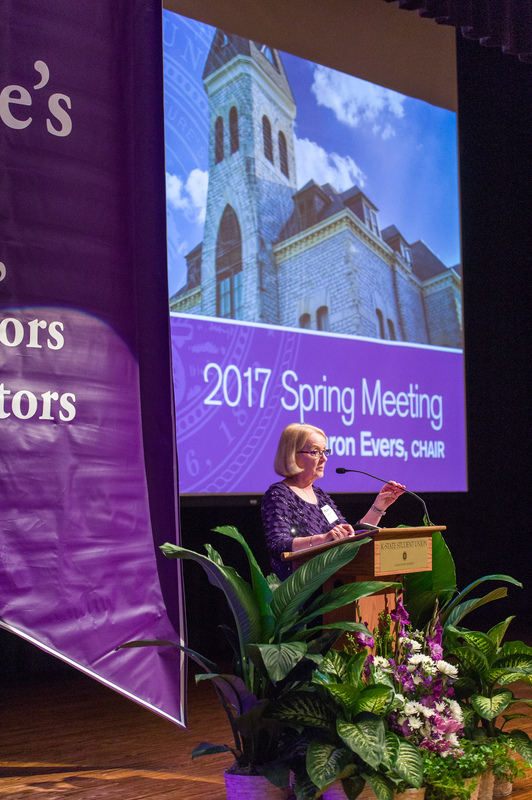 We’re working hard to put together an exceptional showcase to enhance your experience as one of K-State’s premier advocates, ambassadors and investors. You’ll learn about the state of the university and the foundation, the challenges we face and the emerging opportunities where you can make a difference. Questions? Contact Jennifer Fabrizius at jenniferf@found.ksu.edu or 785-532-7566. 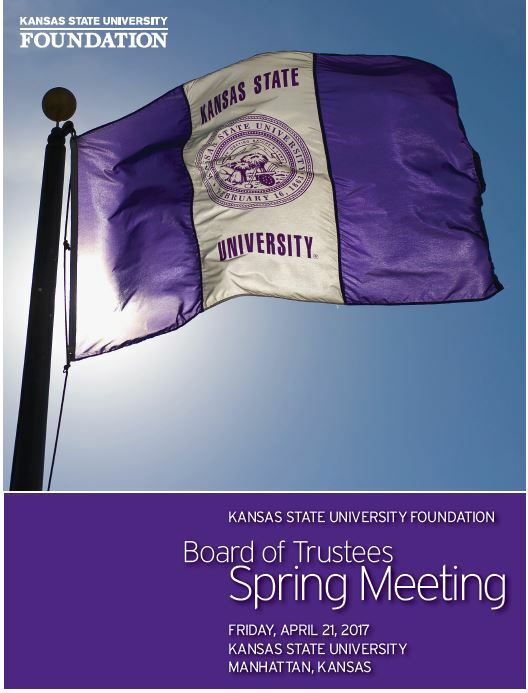 We’re looking forward to seeing you at the Board of Trustees Spring Meeting, scheduled for Friday, April 21, 2017, in Manhattan. 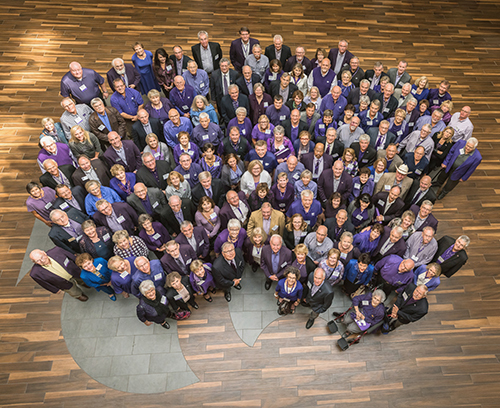 We’re working hard to put together an extraordinary showcase that will enhance your experience as one of K-State’s premier advocates, ambassadors and investors. You’ll learn about the state of the university and the foundation, the challenges we face and the emerging opportunities where you can make a difference. You can RSVP by sending in your registration form or register online. Special note: The Spring Football Game is scheduled for Saturday, April 22, 2017. This will be a fun weekend to be in Manhattan! 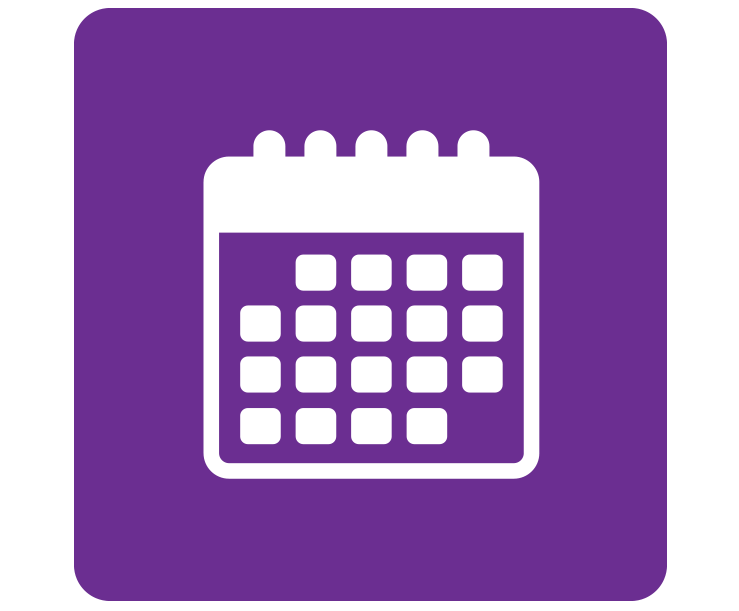 Are you interested in developing corporate partnerships with K-State researchers? Then you will not want to miss the K-State Research Showcase May 17, 2017, on the K-State Olathe campus. The showcase will highlight the wide breadth of research expertise, resources and capabilities at K-State and K-State Olathe that are available to public and private corporate partners in the KC metro area. More than 60 of our researchers will be at the event to showcase K-State technologies, products and intellectual properties. 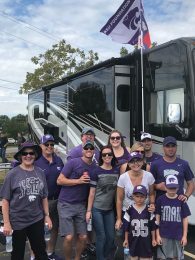 K-State PROUD was recently featured in the university’s #WildcatWay image advertising campaign, which highlights what it means to be a wildcat through videos and stories. 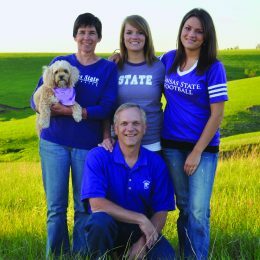 This installment featuring K-State PROUD focuses on the university’s tradition of volunteering and giving back. 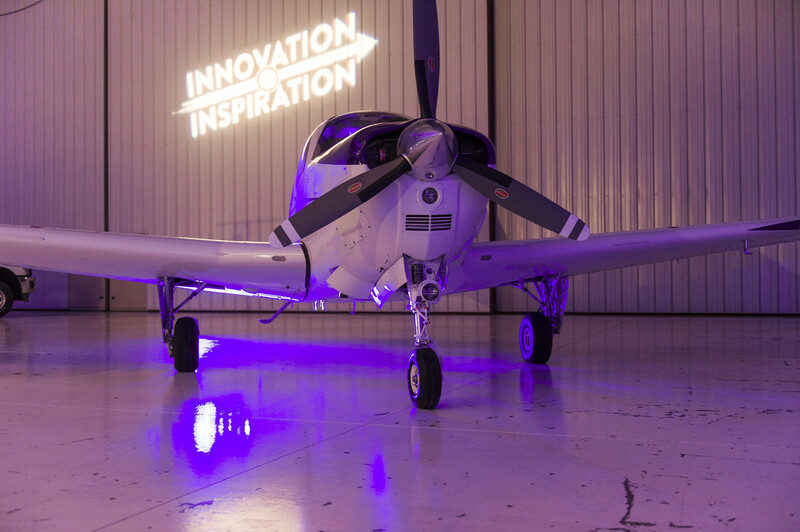 The Innovation and Inspiration Campaign event in Salina was held at Hangar 600, where guests were able to see some of K-State Polytechnic aircraft up close. Photos by David Mayes Photography. Inspiration took flight on Jan. 27, when more than 190 K-Staters were inspired by an Innovation and Inspiration Campaign event at Hangar 600 in Salina, Kansas. The event included a cocktail reception, a campaign presentation and dessert reception featuring many of K-State’s aviation fleet and equipment. Many thanks to all who attended these events and helped to make them a success! 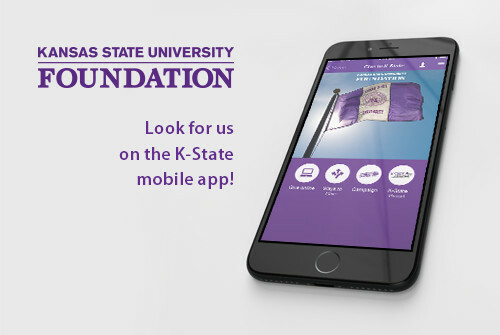 In collaboration with K-State Division of Communications and Marketing and Information Systems Office, KSU Foundation recently launched a presence on K-State’s mobile app! Look for the flag icon to gain access to online giving, information on the Innovation and Inspiration Campaign and more! The KSU Foundation content is available on the app for donors, friends, faculty and staff; future plans include a presence for students. The K-State Mobile app is available to download on iTunes and Google Play, and a quick video description can be found here along with download links. President Richard Myers appeared on K-State NOW, an interview series produced by K-State’s Division of Communications and Marketing. On the Jan. 31 show, President Myers discussed the effects of the recent executive order on immigration on K-State students, faculty and staff, his work with the Kansas legislature and K-State’s budget concerns. Watch your inbox for more information in the coming weeks. If you have questions, please contact Jennifer Rettele-Thomas at 785-532-7592 or jenniferr@found.ksu.edu. Get ready for our Board of Trustees Spring Meeting, scheduled for Friday, April 21, 2017 in Manhattan. We’re working hard to put together an extraordinary showcase that will enhance your experience as one of K-State’s premier advocates, ambassadors and investors. You’ll learn about the state of the university and the foundation, the challenges we face and the emerging opportunities where you can make a difference. Special note: The Spring Football Game will take place on Saturday, April 22, 2017. This will be a fun weekend to be in Manhattan! Watch your mailbox and your inbox for more information. Questions? Contact Jennifer Fabrizius at jenniferf@found.ksu or 785-532-7566.